The Gunter Graphics Basic 4-Page Website Package is great for any start-up or professional individual. Priced at $1,500 – This package includes the Home, About and Contact pages with Social Network links. The fourth page can be customized to share your resume, achievements, portfolio, products or blog posts. There is a three (3) post minimum to set up blog. 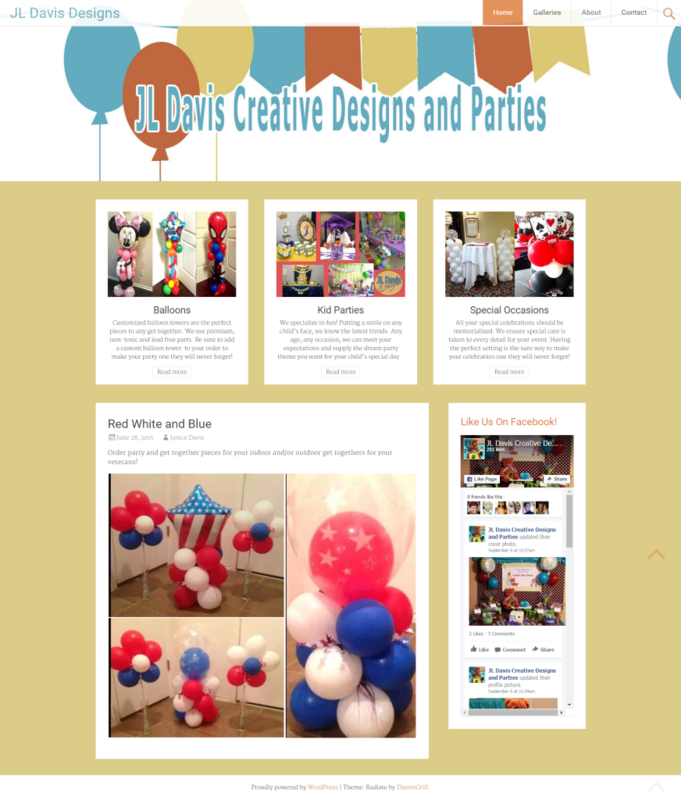 This package includes a customized header, sidebar and fourth page graphic. That’s three (3) customized graphics that will add life to your website pages. The Gunter Graphics Basic 4-Page Website Package great for small businesses.